The Max Factor Wild collection is a lovely edit for eyes, comprising 13 shadow pots, 8 chunky eye crayons and the Wild Mega Volume mascara. There's a great range of colours in the mix, from your nice neutral browns and grays through to more vibrant shades of green, blue, purple and pink. I'm on a real neutrals kick at the moment for eyes so have been reaching for this little selection on a regular basis: the shadow pots in Pale Pebble, Burnt Bark and Auburn Envy, and Wild Shadow Pencils in Caramel Rage and Savage Silver. Make-up crayons are a lazy busy gal's best friend - check out my favourites on Frillseeker - and Caramel Rage is my new cosmetic crush. Easy and hassle-free, the colour is a brilliant everyday staple and I love the cooling sensation of the gel formula on my lids. They're a snip, too, at just €7.49. 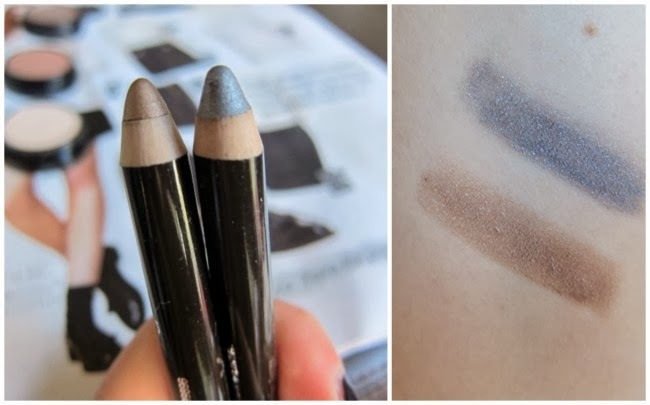 These two have been perfect for recreating a version of the Angelina Jolie look from that MAC masterclass I told you about - a smudge of caramel pencil over my lid, some Savage Silver (it's more of a metallic shimmery grey) in the outer v and a little burnt bark over the top, and bam: I'm the spit of her, so I am. (In the dark, with your eyes closed.) I'm wearing it in the photo at the top of this post. Silky and blendable, the shadows are nothing to sneeze at: the colour payoff is great and they're fab value at €6.99. 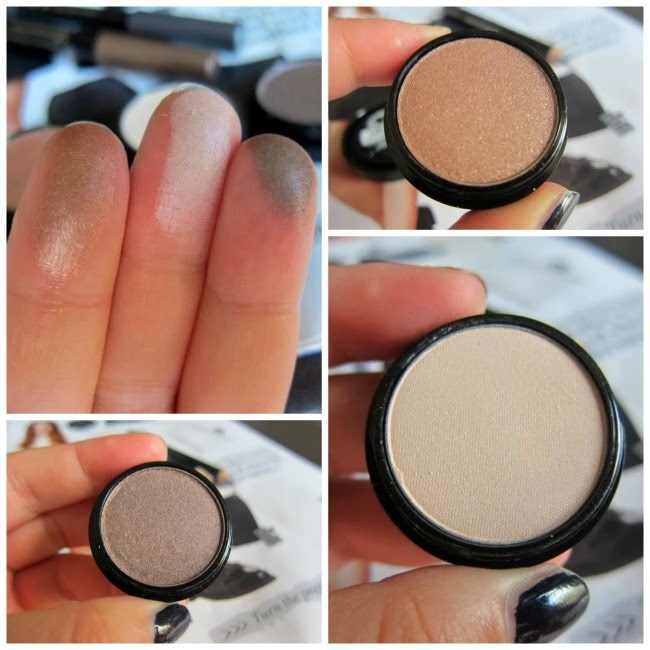 I'd love to see a few mattes in the range but for now, shimmers and satins are the order of the day. Burnt Bark, a delicious cool-toned brown, is my pick of the pack and I'm also enjoying the creamy Pale Pebble and warming, coppery tones of Auburn Envy. That's them in action above. Fancy giving them a go, or maybe you've tried 'em already? For a chance to win some of the Max Factor Wild Shadow Pots, plus lots more lovely beauty bits, head on over to my YouTube channel and check out my worldwide giveaway! Gorgeous neutrals, definitely make up staples! Love that caramel eye crayon! Neutral eyes are the best! Love Max factor products as well. You look lovely! I love the color options and this really looks great on you. p.s. I would love to know what you use to remove your eye makeup. i love the palettes you have! those would be the colors I would choose. looks awesome on you Emma! Those are some beautiful shades - the shadow pots are gorgeous, I do have too many brown shades though but these may be too hard to resist. I love how neutrals will always be wearable. These are really pretty! The make-up looks so glam on you! Very nice products.